Liberty Lift is conveniently located to address the needs of companies employed in the oilfield throughout the Permian Basin shale play and beyond. Liberty Lift’s team offers 125 combined years of experience in the industry. Extensive Knowledge. Innovative Design. Integrated Solutions. Providing the right equipment and delivering the highest quality, customized services is our priority. Meeting customer needs with efficiency & safety is our aim. We are available 24/7 to provide installation, service and repair to your equipment. At Liberty Lift, we know that when the oil stops flowing, your company stops profiting. Let us help you continue to work quickly, safely and with maximum uptime. Contact Liberty Lift in Midland, Texas, today. Liberty Lift’s manufacturing specifications exceed API 11E standards and carry the API monogram. That’s trust you can count on. We are a dynamic equipment supplier that understands the ever-changing nature of the oil and gas industry. We continue to expand our products to provide ideal solutions for all stages of your production lifecycle. It is our goal to deliver all-encompassing equipment and support that ensures your long-term production capabilities. You can maximize production performance with Liberty Lift equipment and services. Rest assured that the combination of our innovative designs and solidly engineered equipment will help your company reach and surpass goals. Whether your company is involved in oil or gas, all our equipment is available for sale or lease by Liberty Lift. We are one of the largest supply companies in Midland and its surrounding areas. If you want to purchase or need a rental, contact Liberty Lift today. Artificial lift systems are our passion. Oil does not flow naturally from drilled wells, and artificial lift equipment is a key solution to that problem. Efficient and reliable artificial lift operations require the right equipment and servicing. At Liberty Lift, we offer field-proven equipment that has been designed by thoughtful, experienced engineers in the oil and gas industry. We manufacture and offer beam pumping units, hydraulic jet pumps, long stroke pumping units, and gas lift systems that can either be leased or purchased. Liberty Lift delivers excellence in services to support oil and gas operations in Midland, Texas. The oilfield services industry operates in a multifaceted environment. There are a lot of demands that need to be met, including the demand for energy. Oilfield service providers like us at Liberty Lift are always researching ways to improve performance, efficiency and increase production through innovative energy equipment and services. We offer a full range of services that complement our comprehensive supply of equipment. Repair services – We are technologically advanced and flexible. We will repair equipment either purchased or leased from us, or other equipment you have on-site from another supplier. We repair gears, structural components, structural bearings, and boring and sleeving crank arms. Field services – We love to get our hands dirty on-site. We can, among other things, conduct preventative maintenance inspections; install pumping units; replace polished rods; change belts, sheaves and prime movers; optimize stroke changes, unit balancing, and rod string adjustments; conduct routine bearing maintenance; setup and/or repair gas lift systems; install and routinely service hydraulic jet pumps. Fabrication/machining services – Do you need supplies and machinery? Our skilled team can fabricate structural bearings, gears, structural components, and can customize belt guards. To support oil and gas operations, we always have an inventory of necessary equipment so that we can respond in a timely manner. Our inventory includes such things as new and reconditioned beam pumping units, gas lift mandrels and valves, prime movers, concrete bases, Liberty Lift electric motors, arrow gas motors, hydraulic jet pump units, and hydraulic jet pump parts and rental skids. Our cost-effective services would not be complete without the availability of certain equipment, including crane capabilities up to 90 tons, extended reach bucket trucks, and haul trucks (drop deck and float), all of which help our servicing initiatives to be conducted and completed timely and effectively. 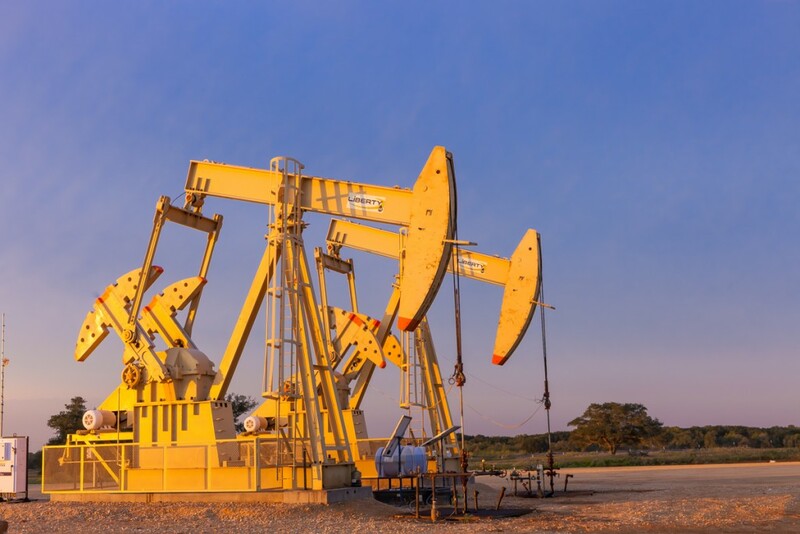 The combination of our technical services, the available inventory, and the equipment necessary to perform propel Liberty Lift into the forefront of other oil field and gas equipment and service companies in the Midland area. At Liberty Lift, our services are complemented by an experienced team who collaborate to ensure your project is not only completed quickly, but that the servicing exceeds the expectations of our clients. We know your bottom line is at stake every time there’s a problem on-site, and we move accordingly to accommodate you. We are located at 3209 West Industrial Avenue, Midland, Texas 79701. You can contact us at 432-685-4059 to learn more about our services or to request service. Among other benefits specific to HE and EG beam pumping units, our units also feature gear reducers, equalizer bearing assembly, saddle bearing assembly, wrist pin assembly, brake assembly, and counterweight calibration capability. You can check our site to learn more about the specifics of each HE and EG beam pumping units and review the specifications accordingly. To learn more about our gas lift systems and to review the respective technical specifications. If you are in the business of gas or oil production and conduct drillings, have an oil rig, need parts or repairs, among other many tasks and operations, we have the equipment you need to get the job done right. Our XL Long Stroke pumping unit solves problems. Due to fewer cycles, problems with rods, tubing and workover frequency are reduced. Among other benefits, this unit features top sprockets, a counterweight box, gear reducers, top drum supported by two self-aligning double-row spherical roller bearings, and unit sentry operational safety monitoring, in addition to all the standard features of a long stroke pumping unit. Learn more about our XL Long Stroke pumping units. Is your company outsourcing design and manufacturing? Liberty Lift is an industrial equipment supplier for Midland, TX and the surrounding areas. We design, develop, test, and manufacture machinery and equipment, as well as other products, with the purpose of usability, efficiency, quality and service in mind. We are always expanding our equipment products and services to meet the operational needs of oil and gas companies on-site. First, we understand the nature of the oil and gas industry, the challenges it faces, and the means to address those challenges. We harness this knowledge and apply it when we innovate and create new, integrated equipment, systems and technologies. Second, we are a solution-oriented business. We troubleshoot. We transform a challenge into a learning process to create and strategize the ideal solution. Third, we do all of this for our customers. We are a customer-oriented company, and as such, we address your concerns and solve the issues in an expedient manner. Our approach to supplying industrial equipment to Midland and its surrounding areas is simple: deliver equipment that maximizes output through efficiency and accessibility. If your company is in Midland or its surrounding area, contact us today either online or at 432-685-4059. We are here for you 24/7 because we know anything can happen, day or night. Learn more about our hydraulic jet pumps.